Let MOVEHUT help you find your ideal commercial property to rent or buy in Leeds. You could be searching for a new automotive based property, or even a serviced office in Leeds. MOVEHUT gives you the option to search for commercial properties by size, allowing you to be more specific with your search in Leeds So no matter what you're looking for in a commercial property, MOVEHUT can help make your search quick and easy. Leeds is at the centre of the Metropolitan Borough of West Yorkshire. 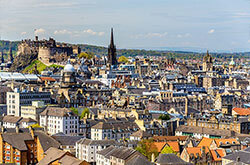 It is a 24 hour city dubbed the capital of the North. Leeds is the retail and business hub of the region and has one of the largest financial centres in the UK. In recent years there has been substantial commercial property development in the city which has seen new offices, retail and leisure properties appearing. In terms of value, the office market in Leeds is one of the best in Europe. There are plenty of tips when it comes to looking for a commercial property to rent or buy in Leeds. Our first tip would be to always have a true-to-life budget for any kind of commercial property you're searching for in Leeds Internet availability and telephone services are essential in most businesses, so it is recommended to research the available facilities before the property purchase. So if you remember to follow our tips and advice, you will end up with a commercial property in Leeds that is suited to your business needs. Start your commercial property to rent search in Leeds right away, with a little help from MOVEHUT! There is an eclectic mix of rental property choices, meaning you shouldn't have any problem finding a superb property in Leeds. So browse and refine your search on the MOVEHUT website, and we will help you find the perfect property to rent in Leeds. If you are looking for a commercial property for sale in Leeds then get started right away with MOVEHUT. With many different search options, MOVEHUT makes your search for a commercial property in Leeds quick and painless. You can narrow your Leeds commercial property search down by simply specifying the category or distance from the area desired. It would be a mistake not to take advantage of MOVEHUT, so find your commercial property in Leeds right away. There are a remarkable amount of categories that commercial properties in Leeds can fall under. MOVEHUT lists all the best commercial properties in every category, healthcare premises being just one example. We also list properties that are suitable to be used as serviced offices or meeting rooms in Leeds. Rest assured we have an irresistible range of Leeds properties, meaning you have the widest choice! During the Middle Ages, Leeds was little more than a market town. With the industrial revolution it its fortunes were transformed by textiles and there was a huge expansion in industrial commercial property. During the 19th century retail commercial property developments included the city's famous shopping arcades. Leeds was granted city status in 1893. In the early 20th century Leeds became an important centre of education and continued to prosper. During the 1950s, Leeds underwent substantial redevelopment during which the city's business district was transformed by new retail commercial property and office block development. The Victorian shopping arcades were also restyled during this period. During the post-industrial era there has been significant redevelopment of the city. In recent years £4.3 billion has been spent on commercial property development in the city with more construction in the pipeline. Leeds is now a diverse city with a vibrant, cosmopolitan atmosphere. Leeds has an estimated population approaching 800,000. This includes a higher than average number aged between 20-29. Leeds is one of the best locations in Europe for business, according to the European Cities Monitor. Over 422,000 people work in the city including over 120,000 in knowledge-intensive occupations. 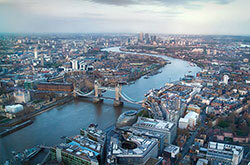 It is the largest financial, business services, and legal centre outside London. In addition Leeds retains a strong manufacturing sector –the third largest in the UK – which includes the second biggest printing industry in the country. Leeds is also a major retail centre with further substantial commercial property developments either under construction or in the pipeline. Leeds is a regional education centre with excellent facilities. It is regarded as one of the best university destinations in the UK. There are two universities in Leeds, the University of Leeds and Leeds Metropolitan University. There are also a number of further education establishments. These include Leeds City College, the third largest FE establishment in the UK with 6 campuses and 50,000 students. Leeds has over 200 primary and 39 secondary schools. The mixed Grammar School at Leeds is the leading private school in the area. Leeds City Council is the provider of local government which effectively controls West Yorkshire. The district is represented at Westminster by 8 MPs. Leeds falls within the boundaries of the Yorkshire and Humber Euro Constituency. Leeds is only 20 miles from the Yorkshire Dales National Park and, despite being urban, a large part of the surrounding area is Green Belt. Leeds has a changeable and unpredictable climate but is reliably dry in comparison to many UK cities. Leeds has good, local, national and international transport links. The M1 and M62 intersect at Leeds providing easy access to the motorway network. Leeds has a very good local transport system. Bus services operate every 10 minutes on main routes and even more frequently on certain routes during peak business hours. Leeds and Bradford Airport is situated to the North West of the city. It is the fastest growing airport in the UK, offering fights to a wide range of UK, European and other international destinations. Leeds City Station is the largest in the UK outside London. A section of the station has been turned into retail and leisure commercial property development. National Express operates services from Leeds bus station. Leeds United is the only Football League club in the city guaranteeing big crowds at Ellend Road. The city is also home to Rugby League club Leeds Rhinos. In addition Yorkshire Cricket Club is based in Leeds. The cultural heritage of Leeds is celebrated in a host of theatres, museums and galleries. Opera North and the Northern Ballet are both based in Leeds. Leeds has over 4 million square feet of retail space in one of the largest pedestrianised shopping areas in the country. This includes 5 indoor shopping centres. Sometimes referred to as the Knightsbridge of the North, Leeds has a superb range of retail commercial properties ranging from boutiques and independent stores to high street brands. Leeds has plenty to recommend it when it comes to entertainment. Leeds is a 24 hour city with a thriving night life scene in its bars, pubs and restaurants. The annual Leeds Carnival is the biggest West Indian carnival after Notting Hill. Millennium Square is the site of a variety of entertainment events. The Yorkshire Post and Yorkshire Evening Post newspapers are based in Leeds. 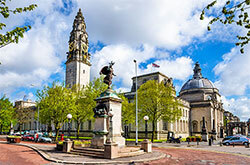 The city is also the base for both BBC and ITV regional broadcasting. In addition there are a number of commercial radio stations broadcasting from Leeds. Leeds International Film Festival is the biggest event of its kind outside of London. The annual Leeds International Concert Season features classical, brass band and chamber music with the highlight being the International Orchestral Series which sees national and international orchestras visiting the city. Leeds Festival is also an annual event featuring some of the biggest names in rock music. Venues such as the O2 Academy and Roundhay Park also stage big pop and rock concerts. Leeds is home to a number of excellent theatres including the highly recommended Grand Theatre. Leeds has 9 major museum sites. These include Leeds City Museum and Leeds Art Gallery. According to the Times, the latter contains the best collection of twentieth century British art outside London. There are also several independent art galleries throughout the city.